Fashion is cyclic, there is no doubt about that. There are some pieces of outfit that succeed to attract the public’s attention, other disappear while others come back into the trends, but it seems that the floral print is a constant for the warm season. 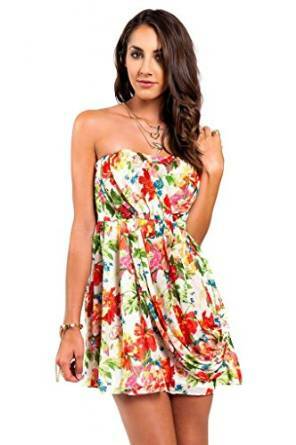 Not only dresses, but also pants and rompers go very well with the floral prints. They are very trendy and chic and bring you a fresh and colorful look. There is no doubt that the floral prints should draw the attention on your outfit, that they have a distinct and strong character, that they have to be perfectly matched with the rest of your outfit. 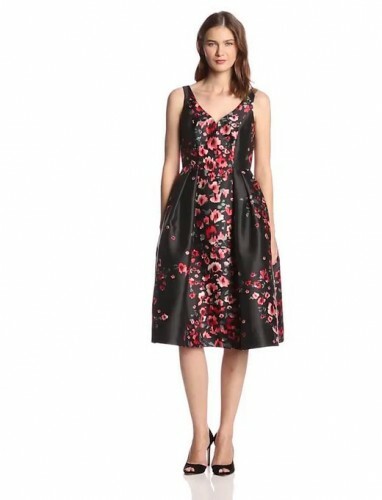 If you love the vintage style, then it is just perfect because it is very well associated with the floral prints. Imagine the refined prints, delicate, feminine, with flowers, complex cuts and inspired fabrics. I am sure you find them irresistible too. If you decide on a floral printed dress, try to give up on jewelries with the same pattern because one colorful piece of outfit is enough. I am sure you don’t want to look like a Christmas tree. A delicate necklace, a pair of vintage earrings, a well chosen scarf, all these are completing a perfect outfit but you should choose them carefully in order to be as delicate and discreet as possible. Otherwise you won’t achieve the desired feminine and delicate effect, on the opposite. For example, a white shirt with a small blue floral print can be matched with a pair of simple jeans and the accessories can be brown if you want. Therefore the main idea is that you should be careful about your accessories because they are the ones that complete your outfit. The summer and also the spring are two exceptional seasons and floral prints are a very good solution in order to achieve a special outfit. An extremely interesting thing is that a sensual dress or even a romper with floral prints can be a perfect choice for a special casual outfit. Well yes, it is important that, along the accessories to be careful of course to your footwear. But, apart being perfect for the casual look, they bring also a note of great delicacy. In conclusion, it is very important to keep in mind also that if you are short you should wear small prints but if you are tall you should wear the bigger prints.